Can't pick your favorite flavor? 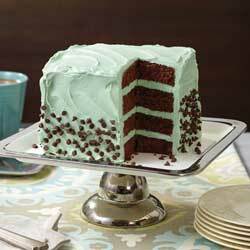 Bake a Checkerboard Cake and you can put three flavors in one cake! Our checkerboard Cake Pan Set, with three cake pans and a reusable ringed insert, makes it easy to get perfect results every time. The bakeware set includes three 9" x 1.5" cake pans plus the dividing ring, making three-layer checkerboard cakes easy to bake and create. Whether you choose two different flavors or colors or more, the best part about this cake is the surprise that's inside that awaits your guests. Imagine the combinations! 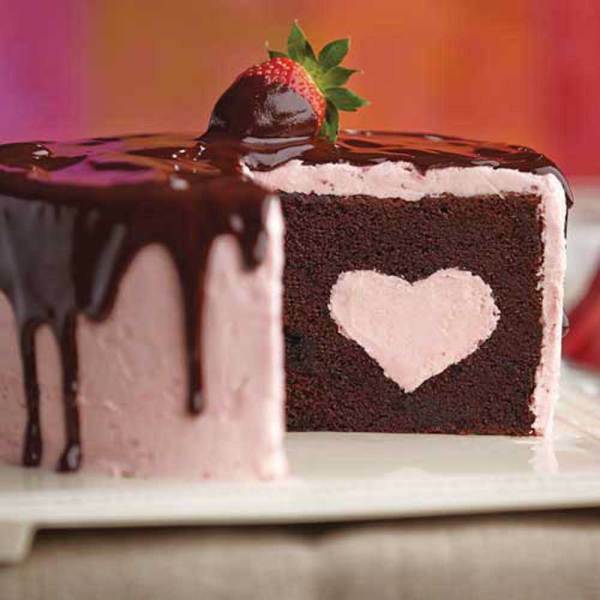 Whether you want a traditional flavor combination such as yellow and chocolate or something more unusual like chocolate and caramel or raspberry, white and chocolate cakes, it's easy to combine two or three cake flavors or colors using the checkerboard dividing ring. For the holidays, choose seasonal color combinations. Be a team player and make your checkerboards in your favorite school or sporting team's colors. 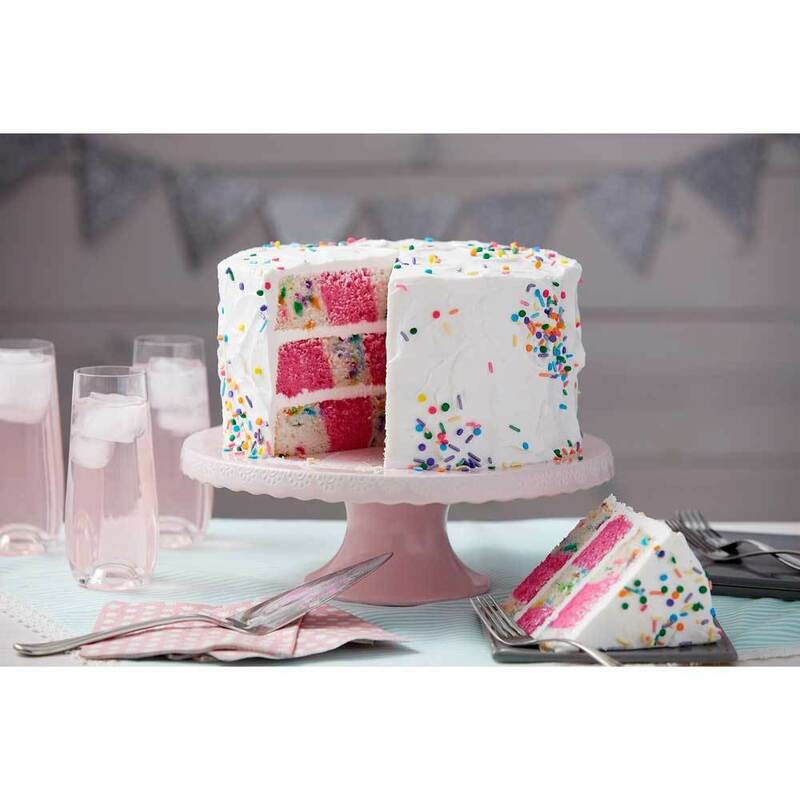 Bake a baby shower cake in pastels, or create a "reveal" cake: white-and-pink cake for a baby girl or white-and-blue cake for baby boy. School colors for the graduation cake? You bet! Whether it's a kids' birthday party in primary colors or a sophisticated cake in subdued tones, you'll have fun making cakes with the easy-to-use dividing ring for the cake pans. 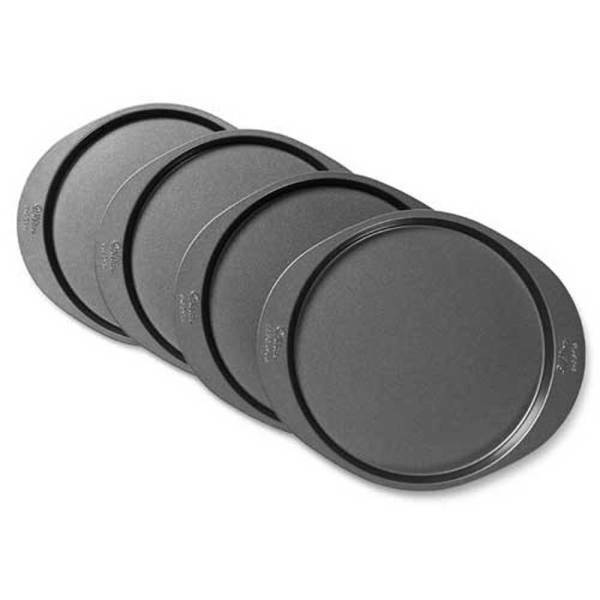 For two colors, simply place the dividing ring in the pan, fill the innermost section with color A, the next ring with color B and the outer ring with color A in two of the pans, and reverse the order for the third pan, removing the dividing ring using the easy-lift handles after filing each pan. Bake the cakes, layer, and your checkerboard is revealed with the first slice! For three colors, just alternate the placement of the batter for each layer.